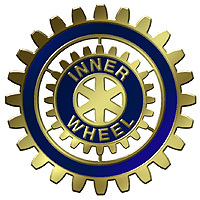 . . . . ASSOCIATION of INNER WHEEL CLUBS. . . .
. . . . . . . . . GREAT BRITAIN & IRELAND . . . . . . . . .
. . . The Inner Wheel Club of Bodmin - Dist. 129 . . .
at the Westberry Hotel, Bodmin.